Tutubi first read about this new cave when he read a news article about the Department of Environment and Natural Resources (DENR) which classified a certain Kwebang Puti in Cavinti, Laguna as Cave Class 1 but no information can be found online about it until news spread from Tutubi's friends in Paete, Laguna. Tutubi knows how to get to Cavinti, either via public transportation or by private car, finding the site is not hard for him come his turn to actually visit the site. Other information will be posted once available and reviewed by his sources of information. Reservations are limited to 10 persons per group. Contact number and official website will be posted once available. 2. 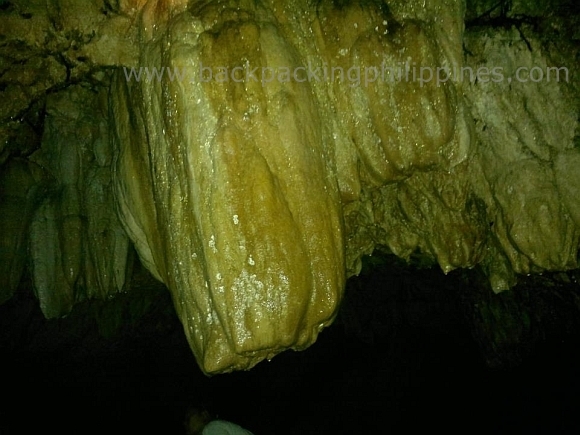 Confirm your permit to tour Cavinti Underground River and Caves Complex by getting your permit personally, though your authorized representative or package tour operator. You need to pay the entrance fee of PhP10.00/person (called environmental fee) Walk-in visitors are NOT guaranteed visitors entry permit. The visitors permit confirmation and payment can be paid at Cavinti Municipal Hall in weekdays and at Bumbungan Ecopark on weekends. (Tutubi will create the map via OpenStreetMap once he gets to the place and will post waypoint/GPS coordinates later). 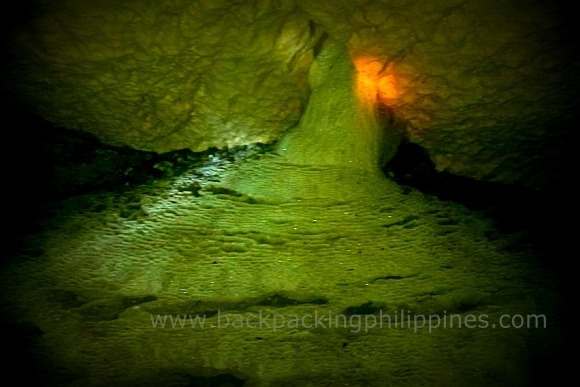 An interactive map of Cavinti (helped updated by Tutubi with the cool guys of OpenStreetMap Philippines) can be found here where you can trace back to your origin and jump-off point. from Quezon City, it's recommended to take the scenic Rizal route via Marcos Highway, Sumulong passing through the city of Antipolo, the Rizal towns of Teresa, Baras, Morong, Tanay, Pililla, and the Laguna towns of Mabitac, Famy, Siniloan, Pangil, Pakil, Paete, Kalayaan. After passing by the elevated portion of Manila East Road in Kalayaan town, you will need to turn left and pass by Caliraya-Cavinti Road until you reach Bumbungan Eco-park. This route, from Trinoma, takes about 3 hours travel time. as of posting time, Pagsanjan Bridge near Pagsanjan Municipal Hall is under construction, you need to take the alternate route to Cavinti via Lumban and Caliraya Lake thus the direction provided above. 1. The road from Cavinti town proper going to the site is not paved, only 4x4 vehicles (for off-road) or jeepneys can traverse it. 4. There are hotels and resorts near Cavinti particularly Pagsanfalls resorts or resorts in Lake Caliraya for you to spend the night, wash yourself or overnight accommodations. This will be updated from time to time to remain fresh and current. 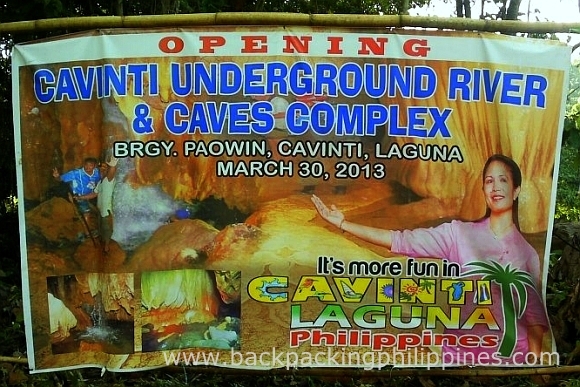 Tutubi's planned tour of this new "place to see in Laguna" last April 20 didn't push through due to the new rule on reservation and with fully-booked place for tour bookings. me and my friends are planning to go there by commuting. is it safe for us 3 girls to visit the place? also, will the jeep wait for us to return back to the bumbungan eco park? we are really excited to go there very soon. we'll appreciate to hear from you :) thanks. Hello backpacking philippines, is it advisable to go there alone? I wanted to travel solo, or is there a way that I can join a group of travellers there as well? Thanks!